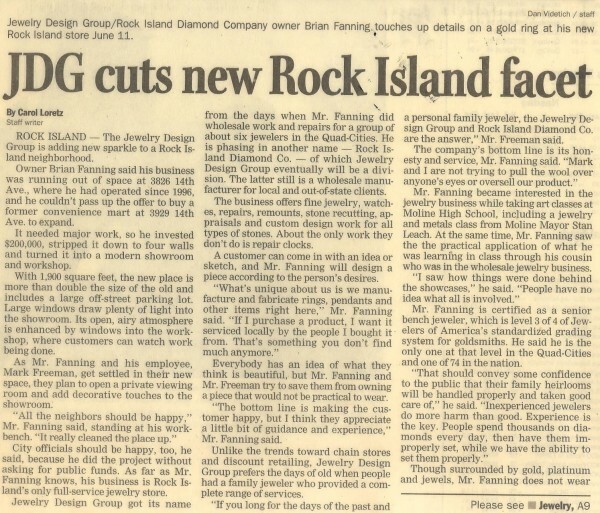 We are an independent, local jewelry store in Rock Island, Illinois, part of the Quad Cities. Our services include high-grade diamond sales, appraisals, custom jewelry design, retail sales, and jewelry and watch repair. We can find or create jewelry for you that reflects your personal situation. With close ties to diamond cutters and wholesale gem exporters around the world, Rock Island Diamond Company can purchase stones to provide that special piece you are searching for. 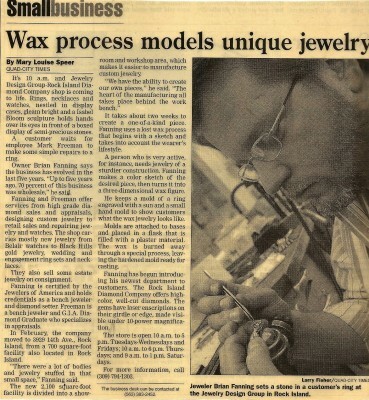 Brian is a J.A./Certified Bench Jeweler. J.A. stands for Jewelers of America and is an organization that serves as an aid to the jewelry industry. Any store can be a member, but individual membership/certification can only be obtained by a standardized testing system judged by a jury of your peers. This is an across the board practical test of abilities and depth of abilities. Certified Bench Jeweler designation from the J.A. 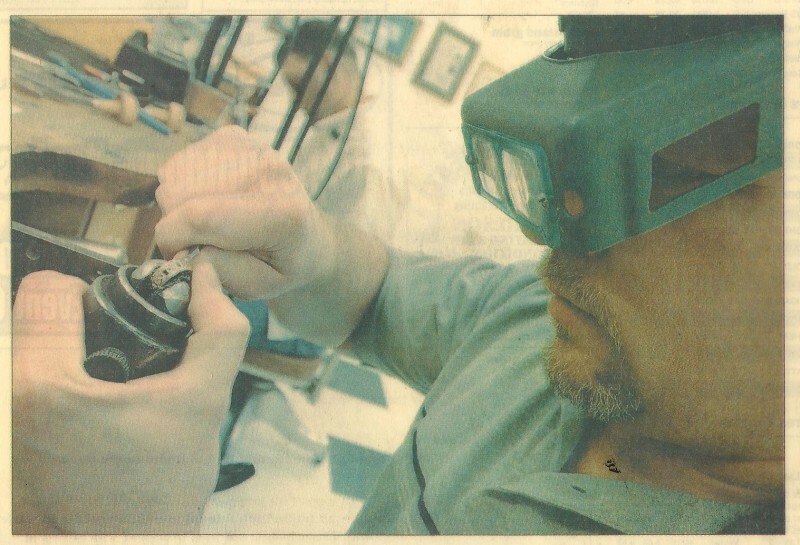 was developed to raise the level of professionalism throughout the industry to benefit jewelers, storeowners, and consumers by ensuring confidence in the ability of the certified bench jeweler to perform quality work. Brian Fanning is one of less than 100 individuals in the country to receive this designation. Jewelers of America is a national association of retail jewelers who are knowledgeable and offer a wide range of services to help you with your jewelry needs. We have an extensive network of suppliers so we can help you find exactly what you are looking for, every time, even if you don't see it in our catalog here. Your policy on repairs/returns "place holder"